TWO Eastriggs musicians are celebrating on the other side of the world following the success of their debut single. Former Annan Academy pupils John Nelson and Tones Thorburn are now making music as band Late Model European in New Zealand, and have had an amazing response to their debut release Summer Rain. And they are hoping to replicate this success with a follow-up single, released this week. John said: “Summer Rain has so far gained over 6000 views on Youtube and over 4000 streams on Spotify, and the numbers are still climbing. 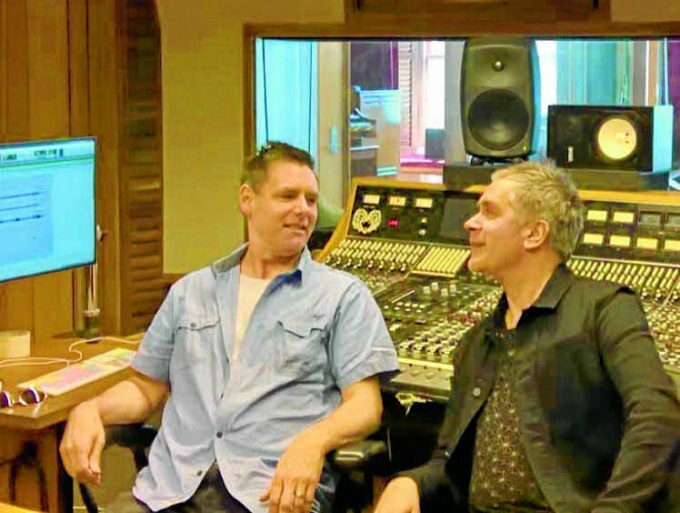 Their new single, Moments, was recorded at Neil Finn’s famous Roundhead Studios with producer Ben King at the helm. It features a host of top Kiwi musicians, including Tom Broome on drums, Ben King on bass and synths, Jacob O’Callahan on piano, Claire Cowan on cello and Adam Whybro on string machine. Described as a hopeful and uplifting, piano-driven love story, Moments was written by Tones for his partner and muse, Sarah. Moments is now available from Spotify, Apple Music, iTunes and all good digital outlets. The music video for the track is available at www. youtube.com/watch?v=yH- cxiPs_snA.